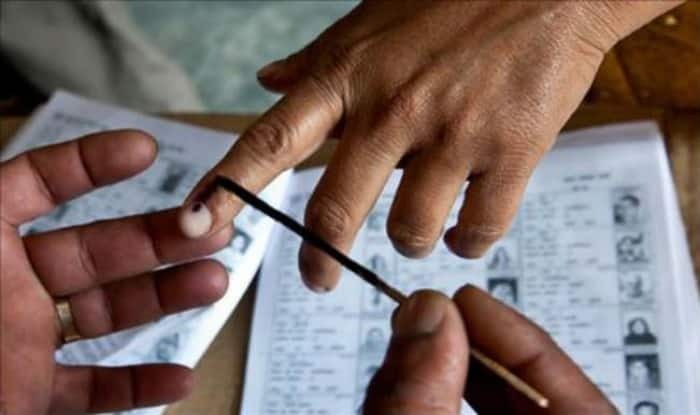 Bangaon, Barrackpur, Howrah, Uluberia constituencies in West Bengal will go to polls in the fifth phase of Lok Sabha elections on May 6. Lok Sabha Elections 2019: West Bengal will go to polls in all the seven phases for its 80 Lok Sabha seats, starting from the first phase on April 11 up to May 19. Let us take a look at the key details of Bangaon, Barrackpur, Howrah, Uluberia, Sreerampur, Hooghly and Arambag constituencies in West Bengal which will go to polls in the fifth phase on May 6. The nomination for these seats will be scrutinised on April 20 and the final date of candidate’s withdrawal is fixed at April 22. The deadline for filing the nomination for the respective seats falls on April 18. CPI(M) candidate Alokesh Das. The sitting MP emerged Mamata Bala Thakur had won the 2016 Lok Sabha Bye-Elections while contesting against CPI(M) candidate Debesh Das. Barrackpur: This constituency lies on the eastern bank of river Ganga. The candidates who are contesting from Barrackpur are BJP candidate Arjun Singh, INC candidate Mohammad Alam, an incumbent parliamentarian from TMC Dinesh Trivedi and a female candidate from CPI(M) Gargi Chatterjee. In the 2014 Lok Sabha Elections, TMC candidate Dinesh Trivedi had defeated the CPI(M) candidate Subhashini Ali. Howrah: The candidates who are contesting from Howrah are Rantidev Sen Gupta from BJP, Suvra Ghosh from Congress, incumbent parliamentarian Prasun Banerjee from TMC, and Sumitra Adhikary from CPI(M). AITC candidate Prasun Banerjee had defeated CPI(M) candidate Sridip Bhattacharya in the 2014 Lok Sabha Elections. Uluberia: The candidates who are contesting from Uluberia are BJP candidate Joy Banerjee, incumbent parliamentarian Sajda Sultan Ahmed from AITC, INC candidate Shoma Ranisree Roy and CPI(M) women candidate Maksuda Khatun. In the 2014 Lok Sabha Elections, Sajda Sultan Ahmed from AITC had defeated the CPI(M) candidate Sabir Uddin Molla. Sreerampur: The candidates who are contesting for the Sreerampur parliamentary seat are an incumbent parliamentarian and TMC candidate Kalyan Banerjee, BJP candidate Debajit Sarkar, INC candidate Debabrata Biswas and CPI(M) candidate Tirthankar Roy. Kalyan Banerjee was the winner of this seat in the 2014 Lok Sabha Elections. He defeated the CPI(M) candidate Tirthankar Ray in 2014. Hooghly: The candidates who are contesting for the Hooghly parliamentary seat are the incumbent parliamentarian Ratna De Nag (TMC), Locket Chatterjee (JP), Pratul Saha (INC) and Pradip Saha (CPI(M)). Ratna De Nag had won the 2014 Lok Sabha Elections contesting against CPI(M) candidate Pradip Saha. Arambag: The candidates who are contesting for the Arambag parliamentary seat are BJP candidate Tapan Roy, INC candidate Jyoti Das, TMC candidate Aparupa Poddar and CPI(M) candidate Sakti Mohan Malik. The incumbent parliamentarian Aparupa Poddar alias Afrin Ali had defeated the CPI(M) candidate Sakti Mohan Malik in the 2014 Lok Sabha Elections. The seven-phase Lok Sabha voting for the 543 Lok Sabha seats will conclude on May 19. The counting of votes will take place on May 23.